Providing you the best range of package sewage treatment plant, industrial sewage treatment plant, prefabricated sewage treatment plant, sewage treatment plants, aerator and water plant maintenance contract service with effective & timely delivery. 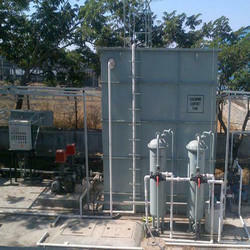 In order to meet the assorted demands of respectable clients, we are able to deliver Packaged Sewage Treatment Plant. Along with this, the offered range of sewage treatment plants is strictly checked on myriad parameters to ensure its adherence with the benchmarks of quality. 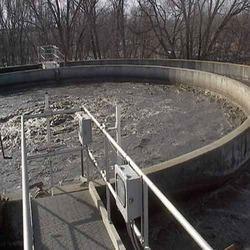 We are engaged in offering our clients a superior quality range of Industrial Sewage Treatment Plant. We design the given product following industrial standards by making use of best quality material and modern technology. We choose a high-Grade material, which possesses the advantage of high reliability, easily transportable and flexible in reworking. The Prefabricated Sewage Treatment Plant can be erected on an open space or underground area. This easy recycling technology by AR uses a high-grade coagulation and flocculation process, micro-rotors to an argument the bacterial population and disinfectants that are environment-friendly to produce cleansed water. We are engaged in offering our clients a superior quality rang of Aerator for Water Treatment Plants, STP/ETP/WTP. We design the given product following industrial standards by making use of best quality material and modern technology. Water Plant Maintenance Contract Service for all types of water/wastewater Treatment Plants. We are Deputing Highly Skilled and experienced Operators for Maintaining the water treatment plants. We supply chemicals based on the Effluent Characteristics so as to suit the Discharge standards specified by the statutory Bodies. And we provide chemicals to avoid problems like Odors, Scaling, Foaming, etc. Leveraging the skills of our qualified team of professionals, we are engaged in providing the standard quality range of Clarifiers followed by STP/ETP Aeration Tank. 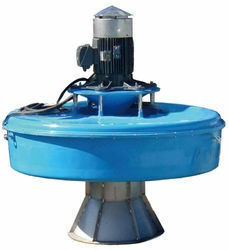 This STP/ETP Aeration Tank is widely used in waste water recovery process. Our product range is highly appreciated amongst customers for its dimensional accuracy, trouble-free performance, and less maintenance requirement. Our product is designed by using advanced machines and technology.